For high school athletes in the United States, the first Wednesday in February is a day that they all have circled on their calendars each and every year. That day is National Signing Day, where hopeful-collegiate athletes sign letters of commitment to their respective NCAA schools.This day is met with massive media coverage and fanfare, as college sports fans are introduced to the new crop of recruits that will be proudly wearing their school’s colours going forward. Up here, north of the border, university sports recruiting is a little more unique. “The challenge we have in Canada as a football program with recruiting is that there is no exact signing day,” men’s football head coach Michael Faulds said. Not having a National Signing Day means that Canadian recruiting draws nowhere near the media attention that it does in the U.S., which leads to very few university sports’ fans having a real understanding of what truly goes into recruiting. In terms of actually finding the recruits that will sign on with Laurier, coach Faulds mentioned that the Canadian university football system, specifically in the province of Ontario, poses many challenges. 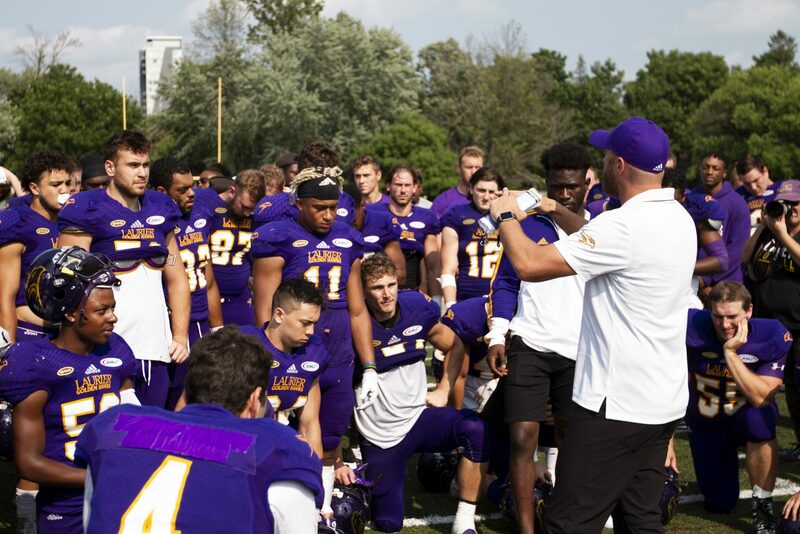 Due in part because of the competitiveness of recruiting, and partly due to preference, coach Faulds noted that Laurier usually has one of the smaller recruiting classes in the OUA each year. In order to gain an advantage over the 10 other football programs in the province, and to ensure that the limited recruits they sign are the best of the best, Laurier has a unique process they use to attract players. Although the entire recruiting process is not easy, Faulds says that he is always up for the challenge.